Happy Veterans’ Day, Happy Binary Day – 11/11/11 – and Happy Friday from The Ohlmann Group. As you wrap up the week and head out into the wonder that is the weekend ahead, we have put together yet another set of internet awesomeness for your digital consuming pleasure. 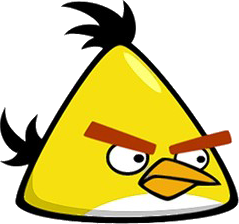 Unmellow Yellow – If you love angry birds, chances are you really love the Yellow Angry Bird. If so, check out this awesome analysis of the Physics of the Yellow Angry Bird from Wired. Turns out there is an optimal way to use this wood smashing, pig crushing, force of nature and take your Angry Birds gameplay to the next level. Woot! Nice Kitty – We love the Oatmeal. Why? Exhibit A – Cat vs Internet. Measuring Up – How are you measuring your marketing results? Measurement is a challenge that marketing professionals continue to make progress in addressing. Want to learn some facts about marketing measurement? Check out this cool infographic from Marketing Profs. Happy Veterans Day – Finally, we wanted to express how much we appreciate the incredible sacrifices of America’s Veterans – including our very own Walter Ohlmann. Here is an excellent resource that Google has created to help Veterans and their families. To all who have serve or are actively serving our country – Thank You! Hope you enjoy our latest collection of digital goodness. Read, share, comment, and of course have a great weekend!